Every year the GSPCA helps hundreds of stray, sick and injured poultry and we currently have 9 chickens, quail and quite a few ducks in our care and one resident. The main resident is a bird call Major a very fine cockerel who arrived one day as a stray and despite asking around the area he either walked someway to the Shelter or could well have been dumped at the GSPCA. 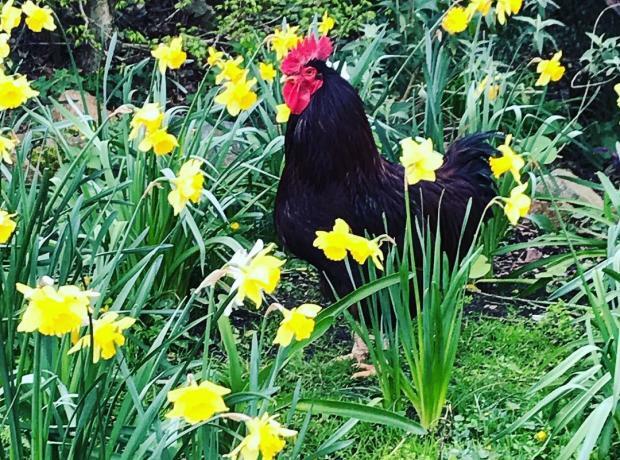 Major is a very friendly cockerel and enjoys following the team around and is quite enjoying the daffodils which he can be seen walking around at this time of year.